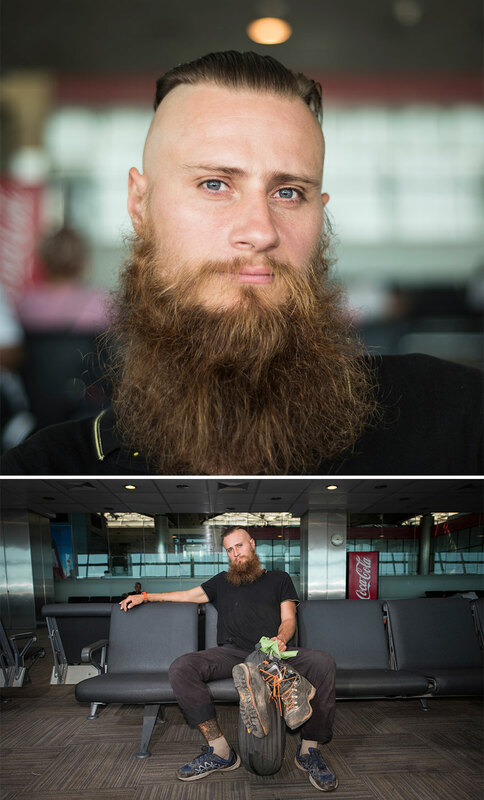 Mustafa Çankaya is a Turkish photographer who works at the Atatürk Airport. 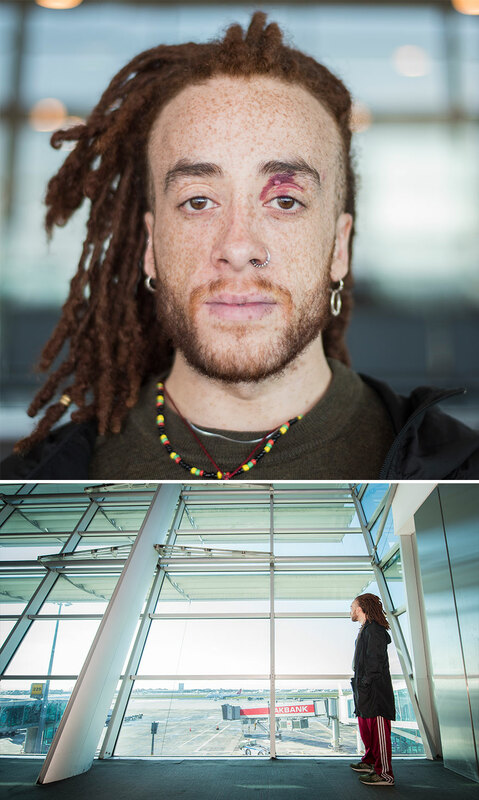 In March 2018 he started a project called “100 Faces 100 Countries”, where he takes pictures of unique people from all over the world. “I love how this project connects the world in one place!” says the photographer. Check out his pictures in the gallery below! Nicole is a tattoo artist from Odessa. She was starting a tour in Europe for tattoo lovers. 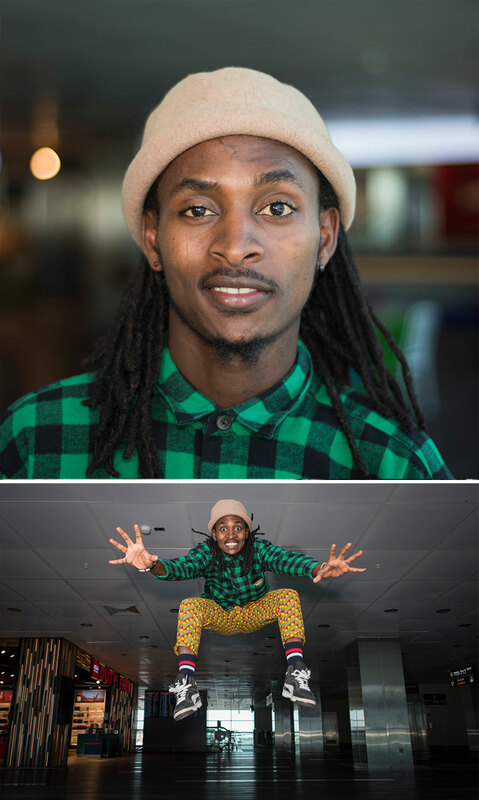 This is what happens if you meet a dancer from Rwanda at the airport. Thanks to Ibrahim Zethy! Freya studies Human Sciences at University of Oxford. 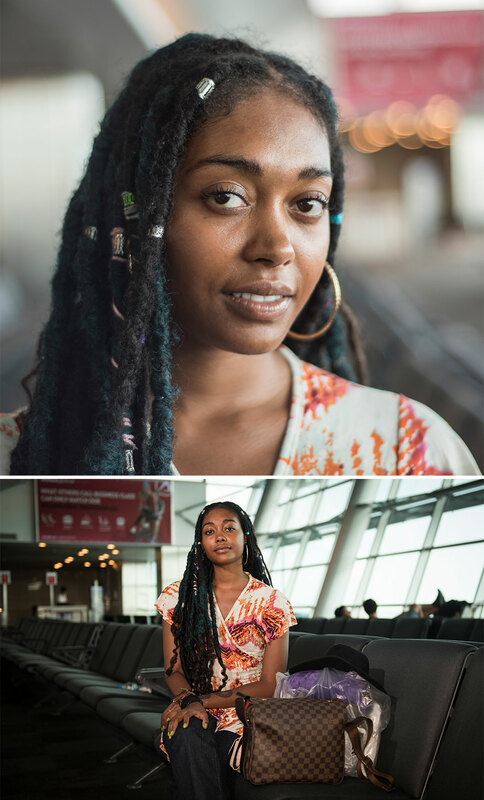 She was flying to Kenya for her studies. Bash arrived from the Burning Man festival, the dust is still on his shoes. He is a percussion artist playing djembe drum. 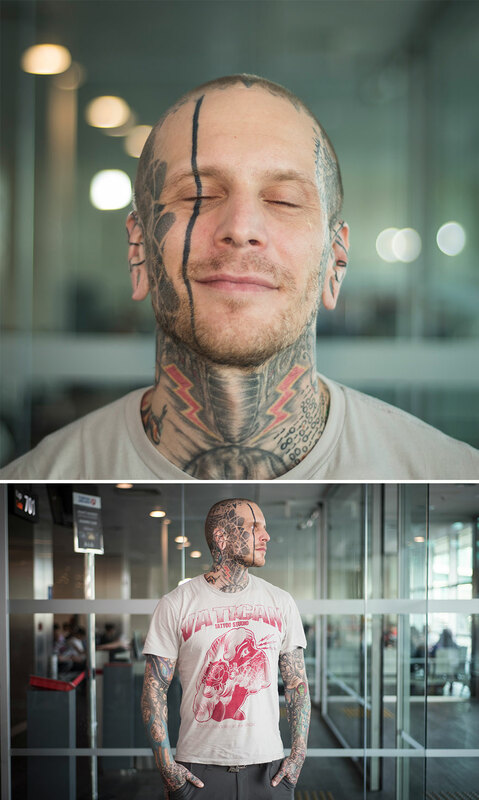 Jussi owns a tattoo studio in Helsinki. 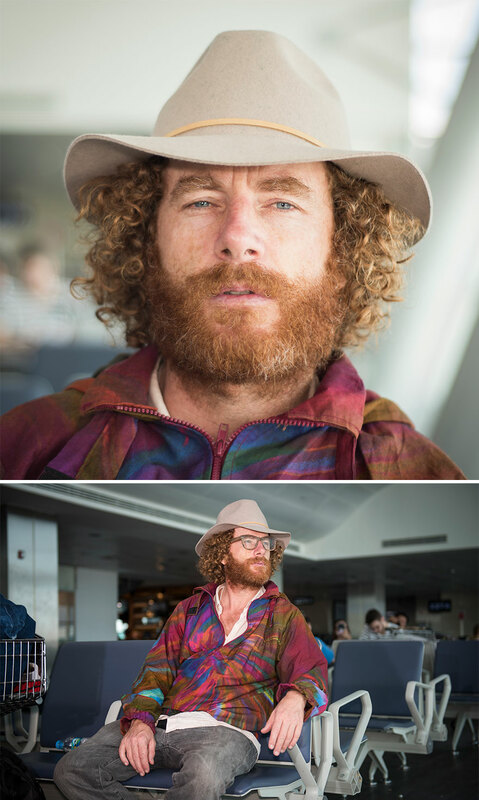 We met before his flight to Africa. He was going to have a long journey to the middle of the jungle. Shayma was following the project before we met. 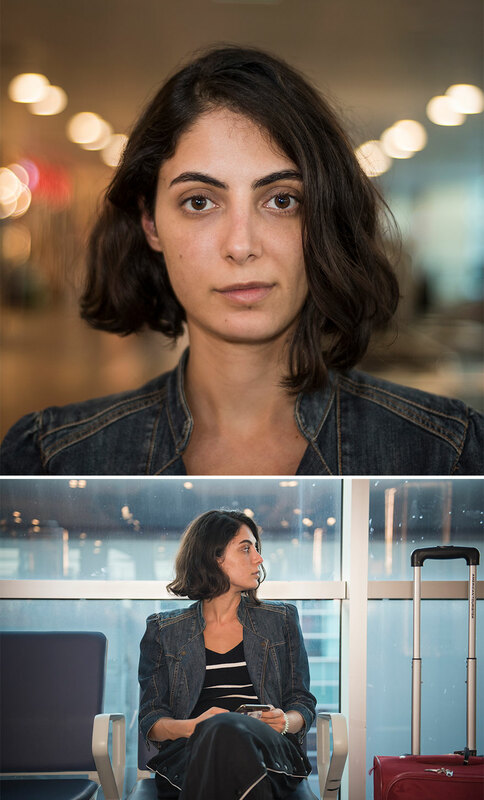 She wrote me between her connecting flight to Greece. 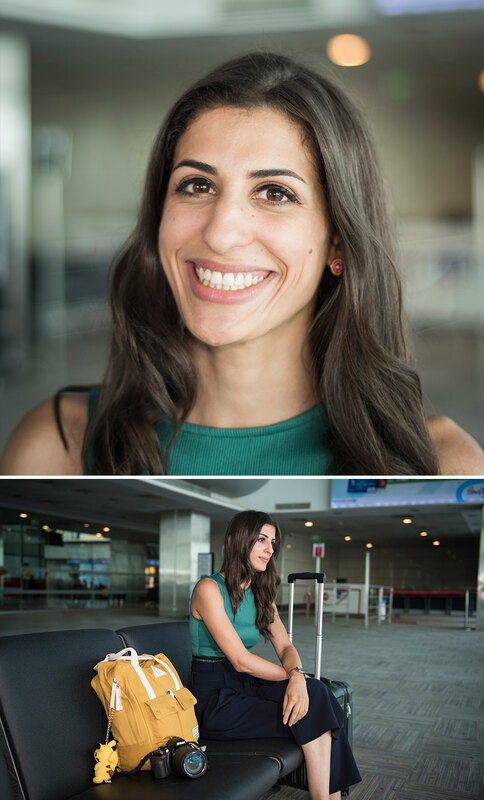 She studies medicine in Malta and also volunteers for refugees in Athens. Frédéric is a teacher in Nigeria. After 2 months summer vacation he was flying back to start the new semester. By the way, the jacket is his own design. Parl is a heptathlete from Estonia. Hereby I’ve learned that “hepta” means seven in Greek. We have met before her flight Houston. Kavinthida had holidays in Denmark. She had a very long layover. Katirina was on work & travel program at New Jersey with her friend. I met them on the way back to Bulgaria. May loves to travel. 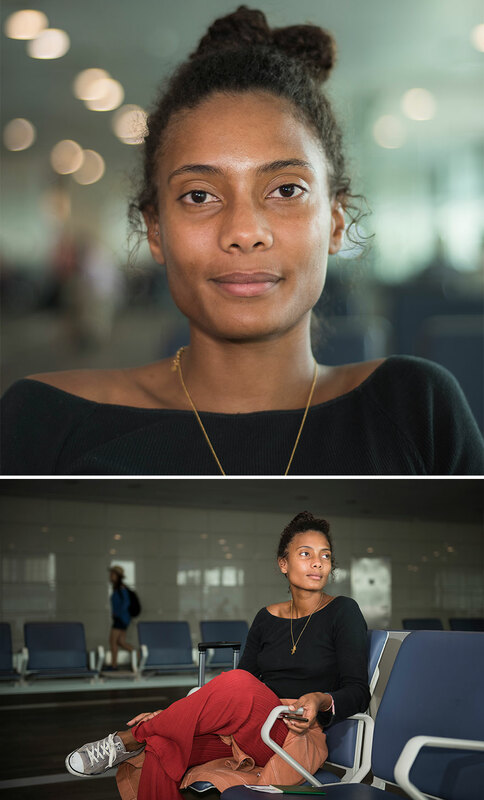 She volunteered at a refugee camp and was on the way to Egypt for work. 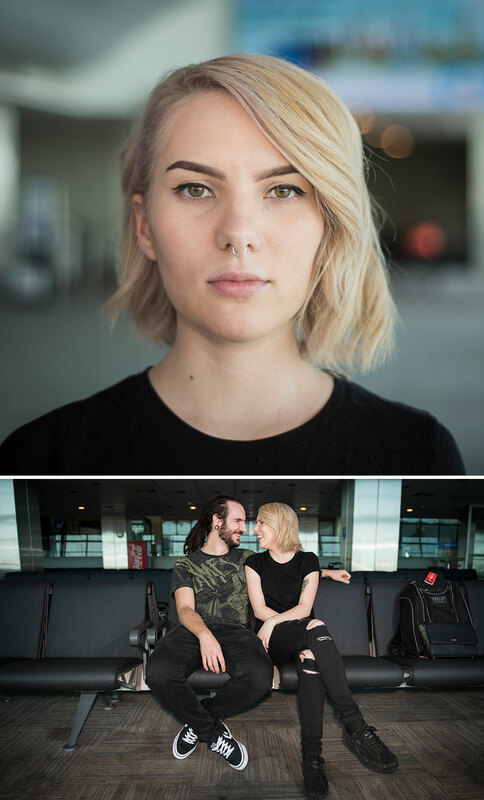 Indrė was heading to California to spend her summer there. Idris is a fashion stylist from Nigeria. You can hire him both in Nigeria and Kenya! 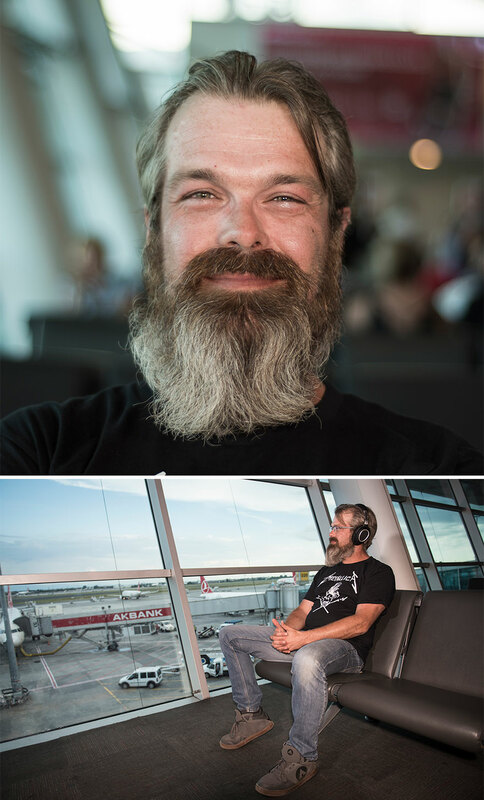 He travels a lot and we met just before his flight to New York. 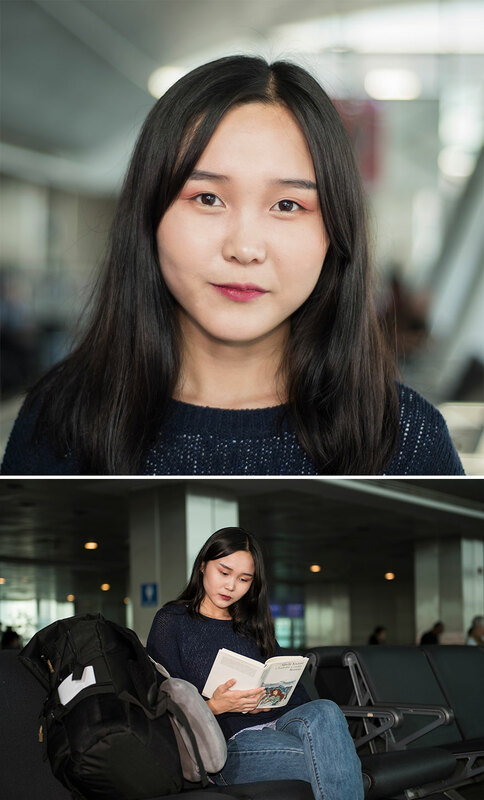 I have met Jargal before her flight to Ulaanbaatar. 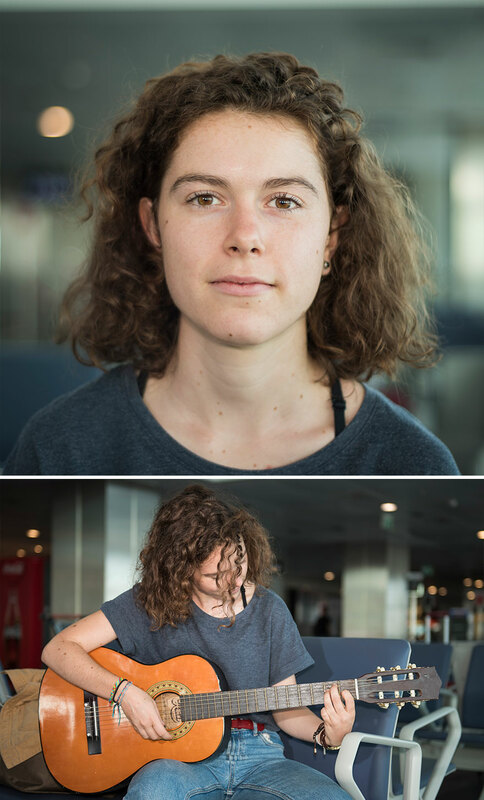 She studies in Frankfurt, Germany. His T-shirt rocks! It even made me ask Christophe to join the project. 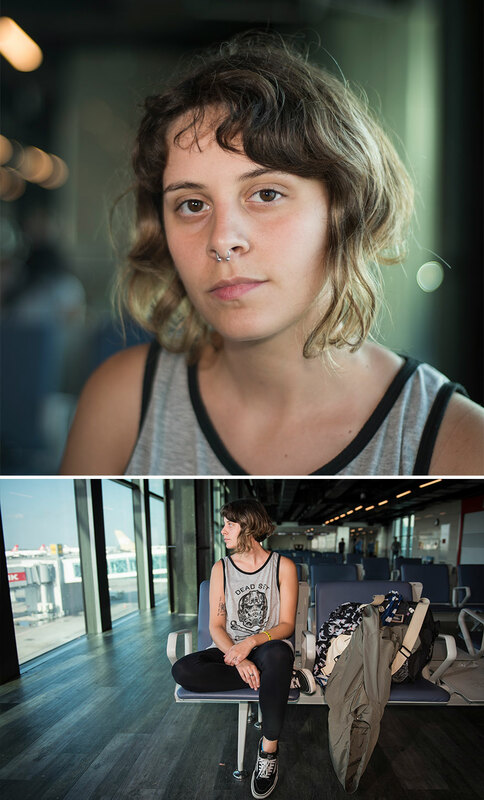 Sara was in Barcelona for holidays. I really love the natural look in this picture. Gorana was having a quick drink before her flight to Belgrade. Happy to have Sara in the project! She studies dentistry and design in Moscow. Sebastian’s last adventure was the trip to the Pamir Mountains in Tajikistan. He climbed to the Peak Korzhenevskaya which is 7105 m high and it took him 8 days. He was there at the same time (13th August) when the helicopter crash happened and three Russian climbers and two Tajik pilots died in the accident. Frankie J is one of the best house dancers on the planet. We have met before at Istanbul Street Dance Carnival. He was the judge for House Dance contest and I was a photographer there. Lubna is a psytrance Dj from Egypt. 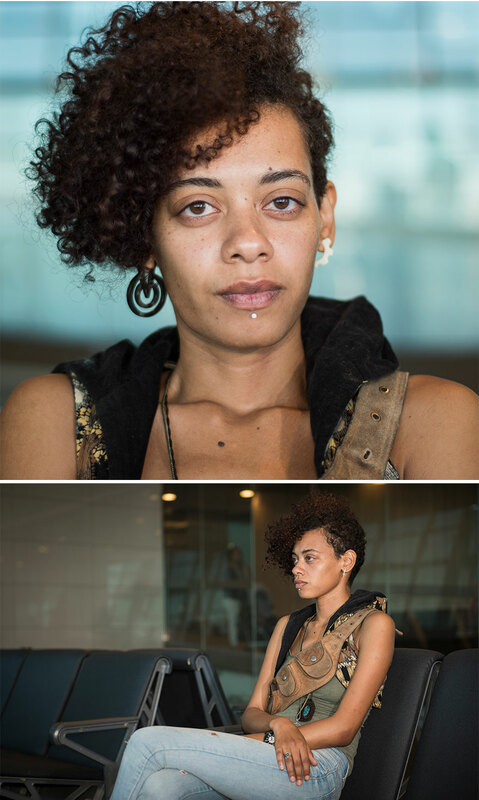 She lives in Sharm el Sheikh. Gerd denied my offer to participate in my project at first. But, she had enough time to think about it when she was in Niger! 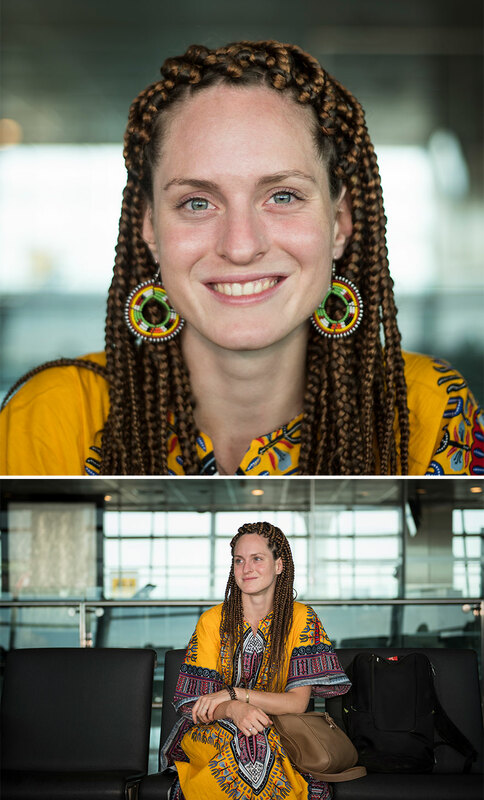 When she came back, she explained that she liked the way this project connects people from all over the world. 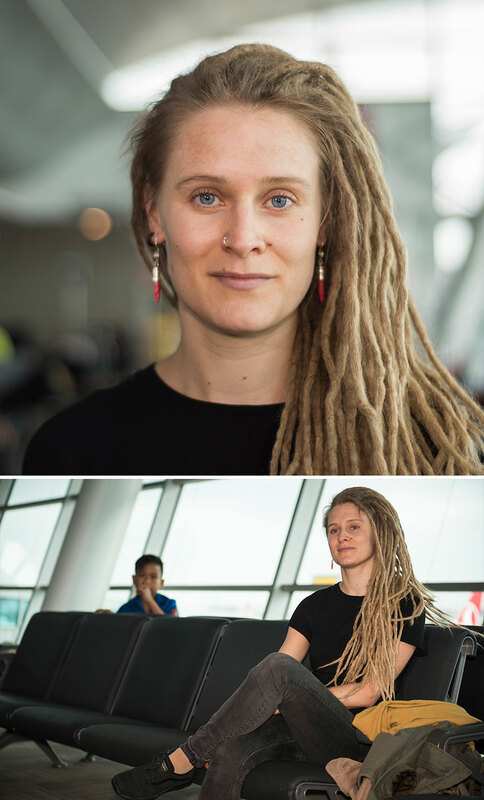 We met again on her way back to Denmark and had enough time for a photoshoot and a conversation. Miljana is a tattoo artist. She was having holidays with her boyfriend. Luna had holidays with her friends in Kenya. She lives in Germany. Ed has both British & Kenya nationalities. 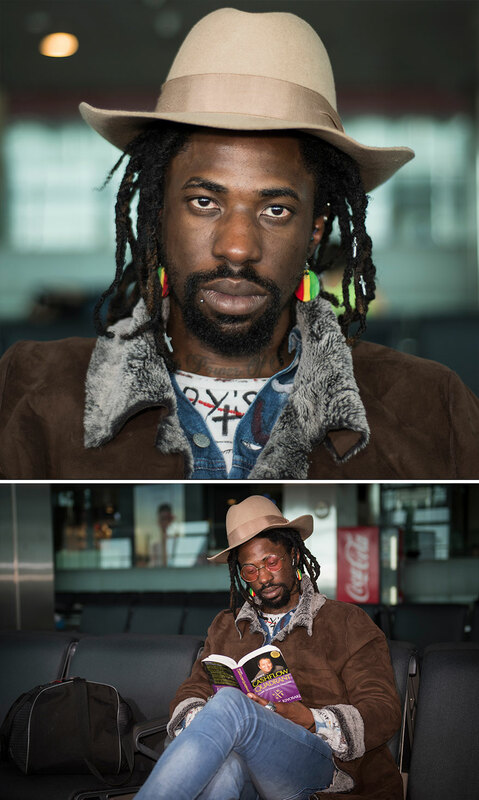 He was waiting for his flight to Nairobi country. Her full name is Paris London. What a beautiful name! She had lovely holidays in Greece and was heading home. 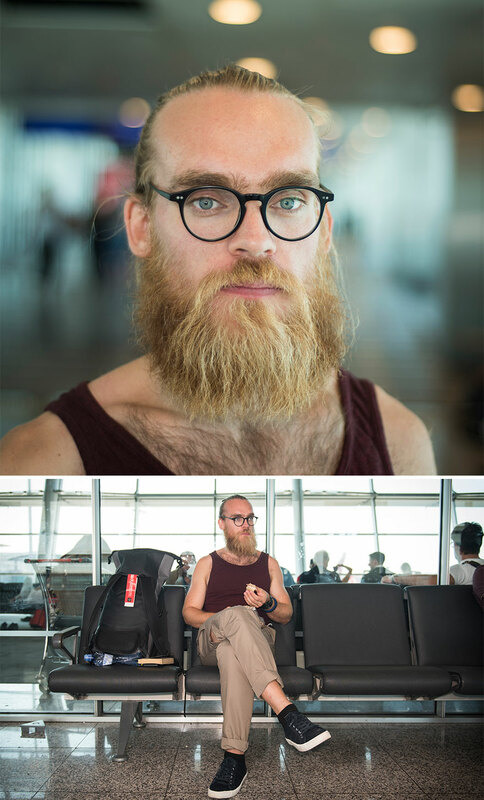 Jacob is a medical student from Sweden. 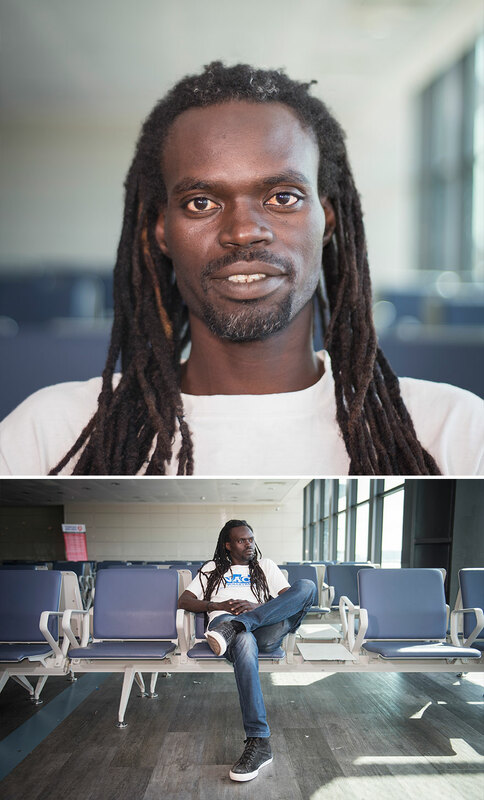 He was on the way to Sudan with a group of international students. 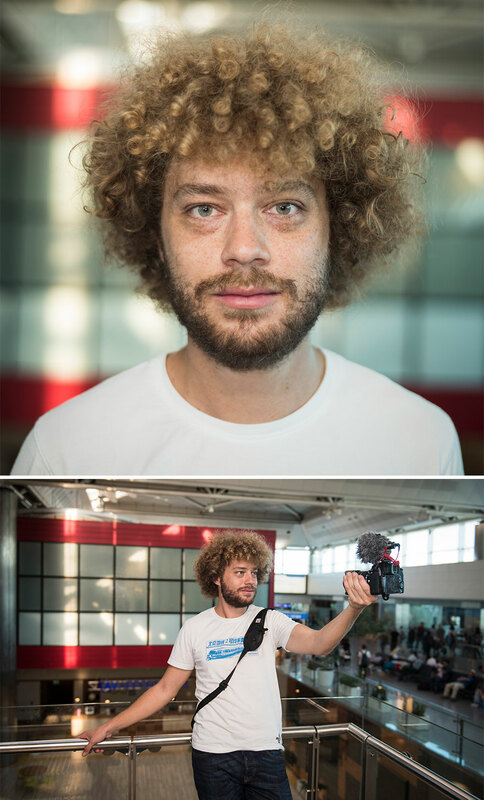 Ilya Varlamov is one of the most famous bloggers & reporters from Russia. He was preparing a video for his YouTube channel when we met. Thanks to Ilya, most of the project followers are from Russia. 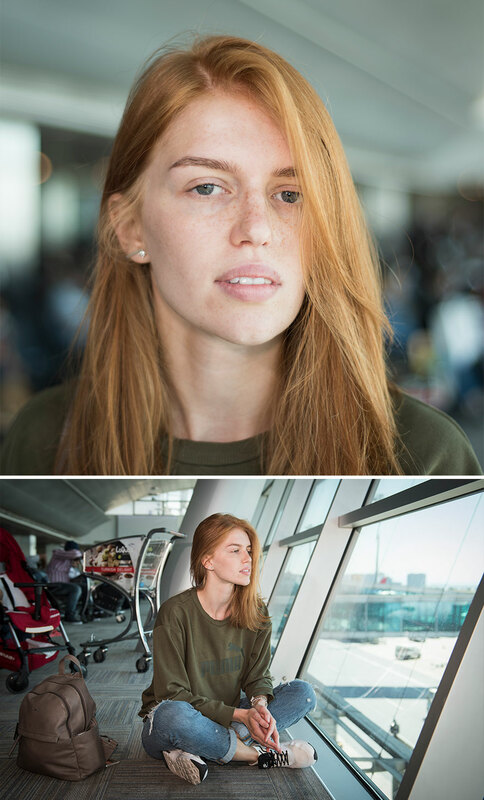 Daria had a flight to China for the next model shooting. 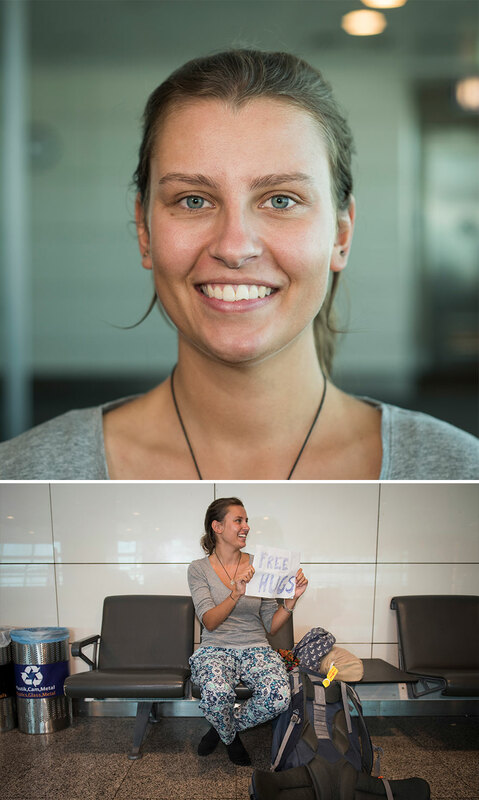 Anja is the third face from Slovenia and as you see Slovenians travel a lot! I’ll probably meet half of the country until the end of the project. Rahma is a sports teacher. 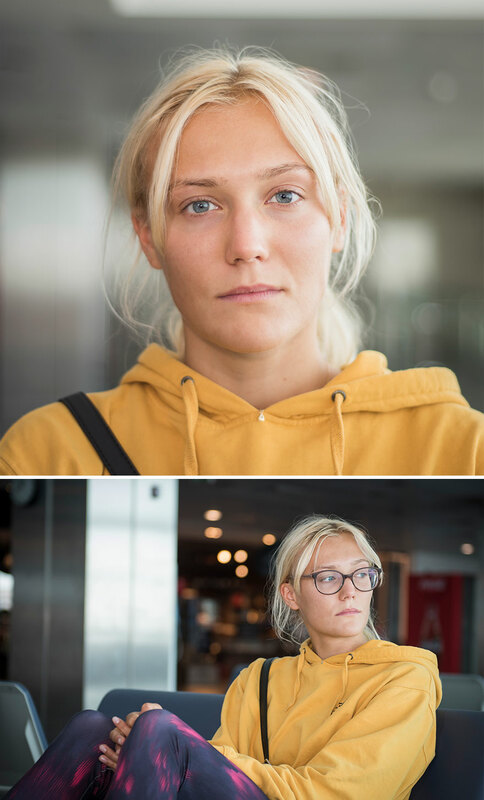 She was on the way to Romania. Aldar grew up in United Kingdom and still lives in London. Florencia is a forensic anthropologist. She works for the Red Cross and her last destination was Georgia. Thanks for spreading love Martina! 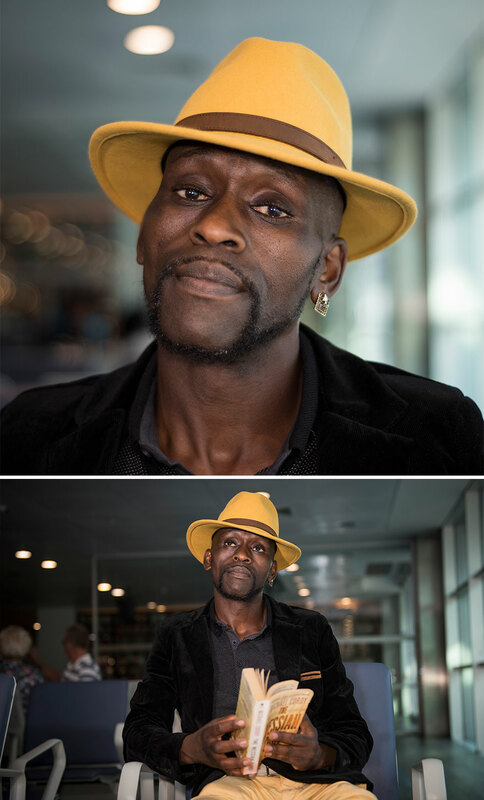 Barkinado is a Senegalese painter and he has an upcoming exhibition at France La Motte-Servolex. 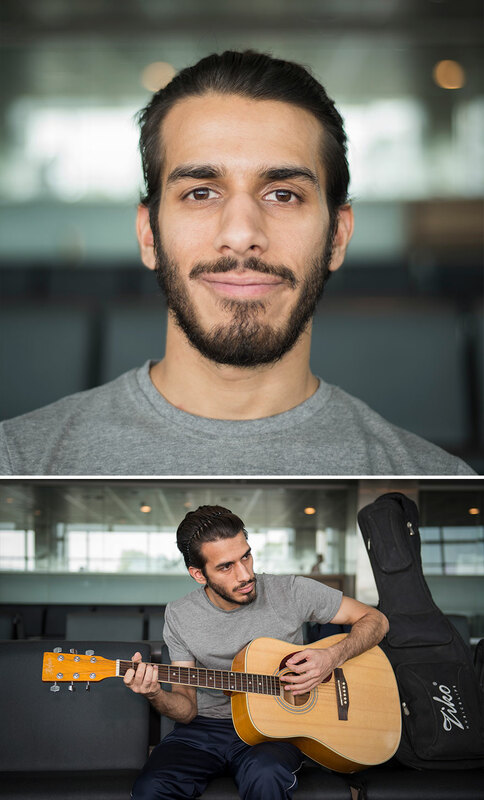 Sadeem studies Global Development in the University of Copenhagen. He loves to play his guitar as a hobby. 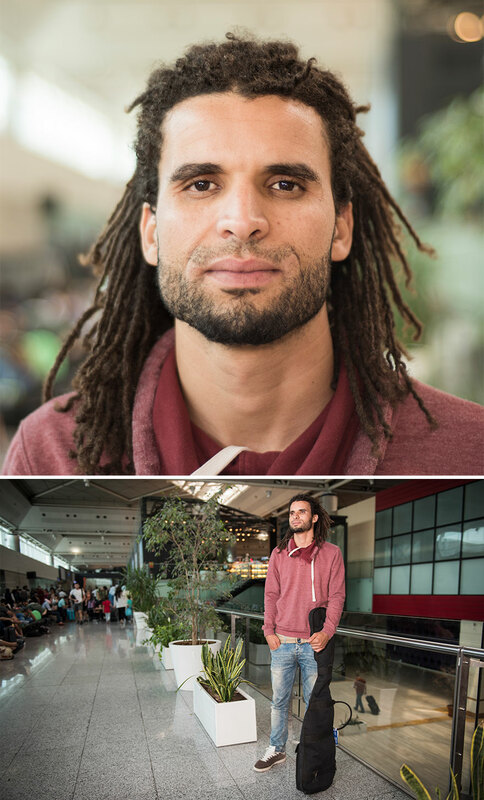 Boubakar is the leader of the pilgrim group. I met him on his way back to Hajj. Michele had a holiday in Phuket and was heading back to Berlin. Sophie plays her guitar as a hobby. 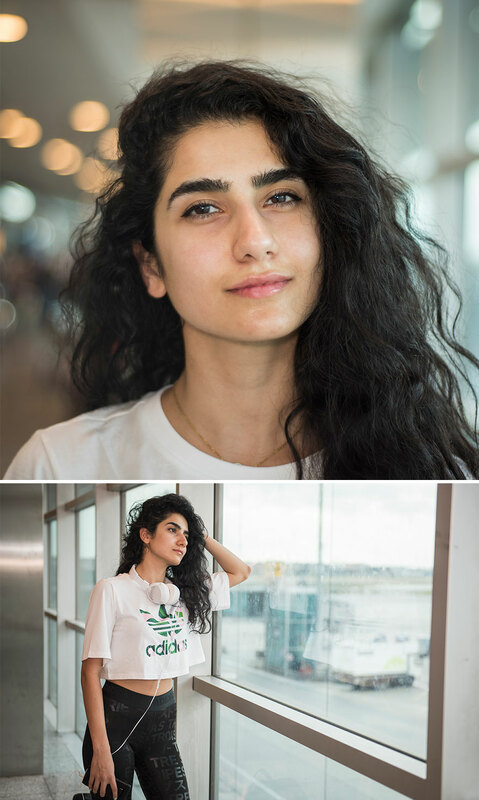 When I met her, she was waiting for her flight to Lebanon. She has chosen a good destination to learn Arabic! 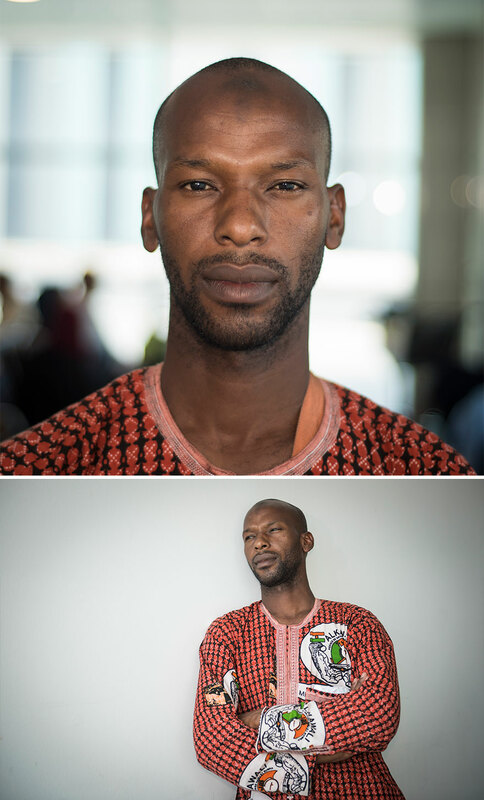 Photographer Simon Cheng was documenting the refugees in Slovenia. 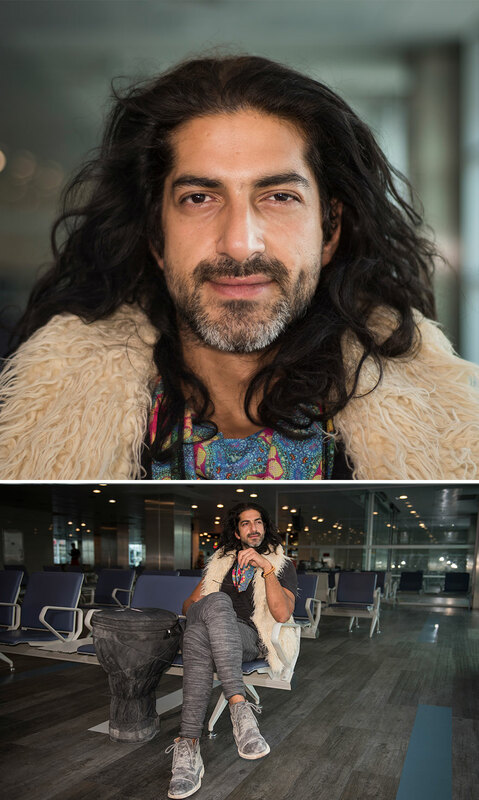 When we met, he was heading to Northern Irak where the refugees are coming from. Hope to meet him on his way back to hear his story! 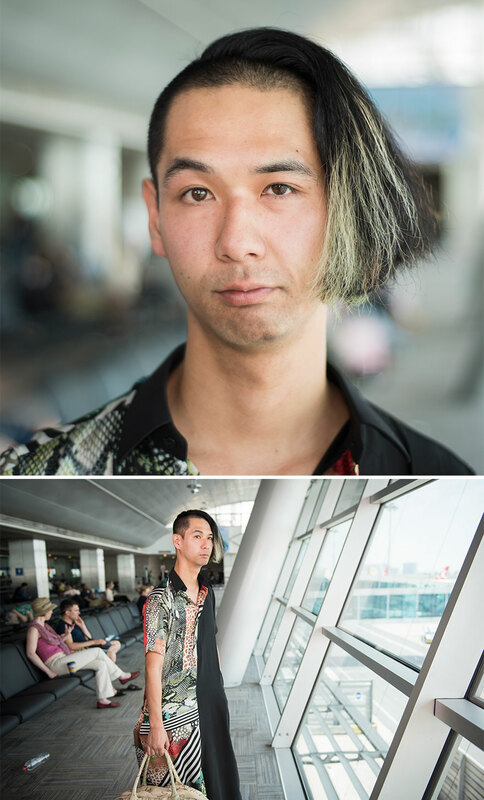 Takeshi is an architect and fashion designer from Japan. He designed his dress which was inspired by the Arabic dress called thawb. 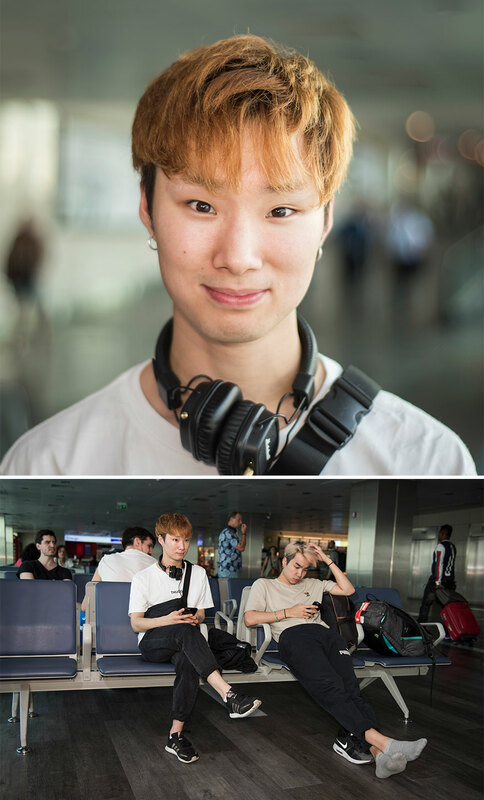 Chang with his friend arrived to Sweden. 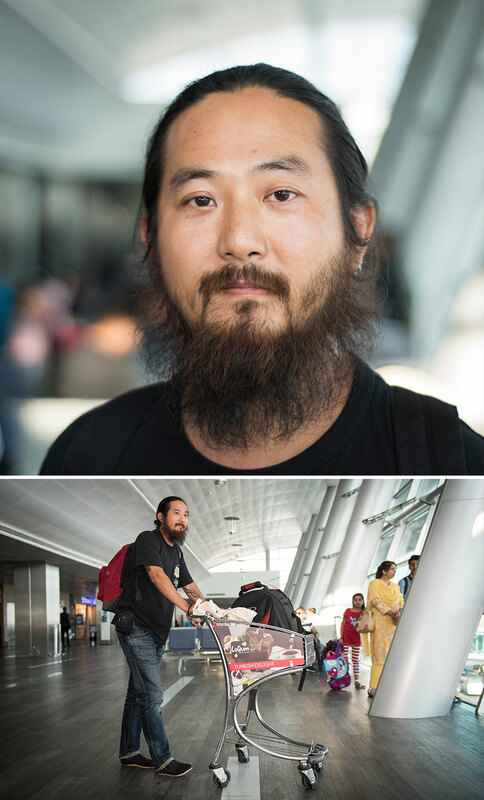 We met on their way back to Seoul. 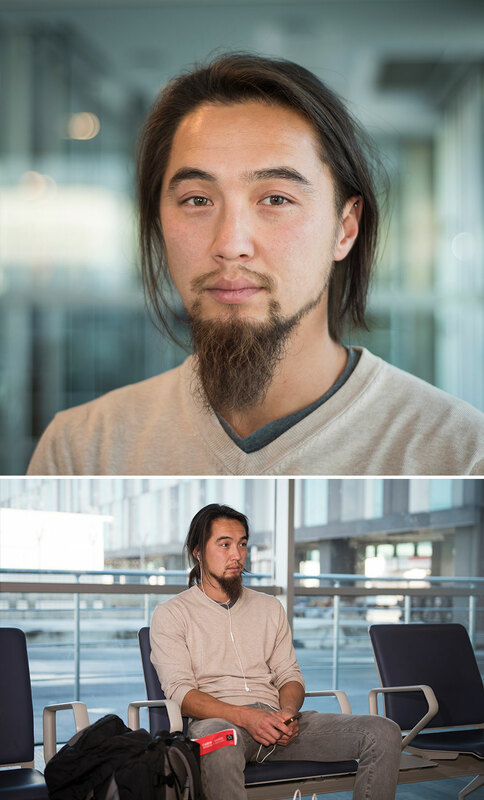 We met with Mr. Dheo after my project was published on Portuguese newspaper. He was in Dubai and wrote me that he will transit via Istanbul. We made an appointment for the shooting session and had an excellent outcome.